Option is a development system offering to the end-user personalization and adaptation services, implicitly assisting him in his development task. By implementing user modeling methodologies Option assigns the end-user to a particular user category related to his behavior and preferences induced from behavior determinant factors, such as gender and capacity level. Then a personalized environment is dynamically adapted to him, offering adaptive interface design as well as business logic ‘compatible’ to the user’s predicted mentality including behavior and preferences. Through such an environment, the user is provided with the capability to build a database-driven application in an abstract level of development, using wizards and other end-user approaches. He has also the option to choose whether he prefers to build a relational, a NoSql or a graph schema, without the necessity of him to know the meaning of these term definitions. 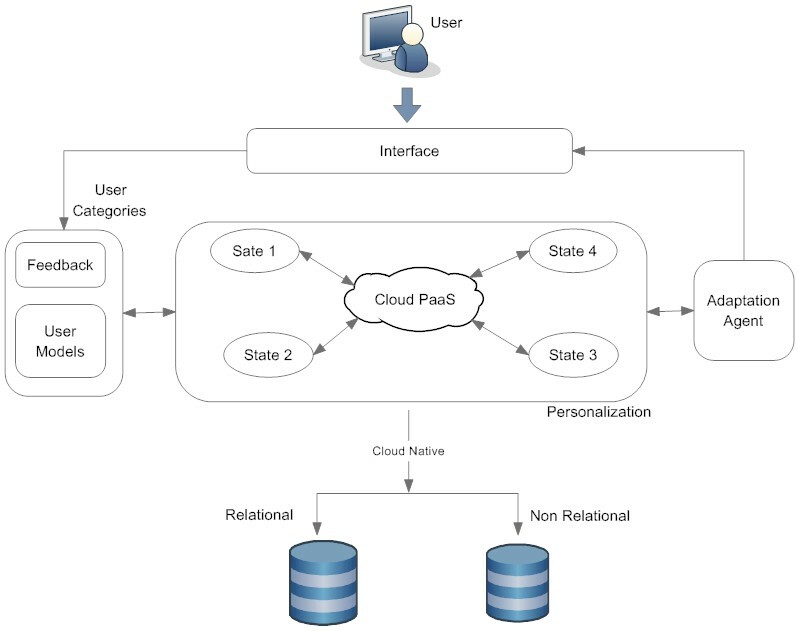 Still using HCI principles and user-friendly approaches, the system provides the user with the option to load his application in the cloud, and to use cloud services for its modification and evolution. Moreover, there is the option for the immediate development of the application in the cloud through a cloud-based IDE provided by one of the system’s adaptation states. In any case, the constructed database is based on distributed technologies to automatically capture the user’s data in the cloud even from the beginning of the development process. Many other options are offered to the user while his system interaction, such as model-driven design, end-user test and debugging tools based on programming psychology strategies, forms for automated data validation, html and css code generator, tutorials and the option of mobile app integration.